John H. Oberholtzer: one of the founders and outstanding leaders of the General Conference Mennonite Church; born on a farm near Clayton, Berks County, Pennsylvania on 10 January 1809, the second child of Abraham and Susanna (Hunsberger) Oberholtzer and the fourth generation from immigrant Jacob Oberholtzer, who landed at Philadelphia in 1732. At the age of 16 he began teaching in local schools. Later learning the trade of a locksmith, he established himself in a shop near Milford Square, Bucks County. He became very skillful as a locksmith and his German locks are still to be found in the community. He supported himself by this trade during his later ministry when his ministerial labors and printing enterprises were causes of expense to him. His aggressive spirit did not rest with these accomplishments, for he continued to educate himself in spare moments. He became an able writer and fluent speaker. In 1842, at the age of 33 years, the Swamp Mennonite Church (Franconia Conference, MC) called him as a preacher. He became a fluent and fascinating speaker and preached in neighboring churches of other denominations, an unheard-of innovation among Mennonites of the day. From the beginning of his ministry he organized children's Bible classes which he called "Kinderlehre." He started using a European Mennonite catechism and later developed these Sunday afternoon classes into one of the early Mennonite Sunday schools in America at West Swamp in 1857. Following his call into the ministry in 1842 Oberholtzer found himself dissatisfied with many customs and methods of the Mennonite church of his day. He did not at first wear the ministerial straight-collar coat as required by the conference, though later he was willing to do so. Perhaps the greatest cause of distress was the lack of a written constitution and minutes in the conference. Questions of discipline and polity from pioneer days had always been decided by the conference without any definite written standards. In 1847 Oberholtzer proposed such a written constitution to the Franconia Conference. This proposed innovation, coupled with a growing ill-will against him engendered by other things, such as the temporary refusal to wear the prescribed coat, occasioned the unfortunate conference division of October 1847. On 28 October 1847, Oberholtzer took the lead in organizing a new Mennonite conference with other older and younger ministers and leaders dissatisfied with the old conference. This division, perhaps the most far-reaching of all schisms in the American Mennonite Church, brought forth much controversy during the past century. Without maligning or defending John Oberholtzer, or aligning him with later errors of his group, it is fair to state that from his own writings and actions it is clear he was not interested in changing the basic doctrines of the church. It was his desire rather to introduce new ways of propagating the old Gospel, such as Christian education through ministerial training and Sunday schools, missionary work, and publication work. He was ahead of his time. The Mennonite Church (MC) for the most part was not ready to accept the new ways of working. Oberholtzer pioneered in other "firsts." 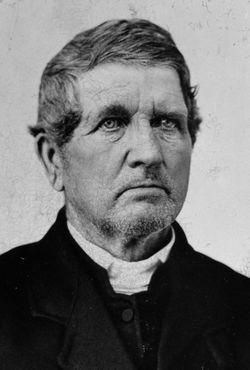 In 1844 he drew up a constitution for the Swamp Mennonite congregation, probably the first congregational constitution among American Mennonites. In 1850, through his leadership, West Swamp adopted a plan for "the poor and suffering members of the Christian community," an early mutual aid plan. Probably the most important of all was his periodical, the Religiöser Botschafter, started in 1852, the first successful Mennonite periodical in America. He purchased a hand printing press for his locksmith shop, learned to set type, and became the editor, printer, and agent for this enterprise. He was one of the leaders who founded the General Conference of the Mennonite Church in Iowa in 1860. He was a staunch supporter of its early mission work among the American Indians, and was a mission board member until 1881. He was one of the first to encourage a trained and supported ministry and was a leader in supporting the Wadsworth Mennonite School, a seminary operated at Wadsworth, Ohio, 1867-78. In 1872 Oberholtzer resigned as chairman of the Eastern District Conference, a position he had held from the beginning in 1848. From then until his death he continued to preach and serve, but not as a conference leader. The work had passed into other hands, but he still attended conferences and took a vital interest in the ongoing work of the General Conference Mennonite Church. He preached until October 1894. He died 15 February 1895, at the age of 86. In the earlier decades of the 20th century the work of historians C. Henry Smith, H. P. Krehbiel, J. C. Wenger, and others described the prominent role John H. Oberholtzer played in the founding in 1847 of what became known as the Eastern District Conference and in 1860, of the General Conference Mennonite Church. More recently scholars have more thoroughly evaluated Oberholtzer and his contributions to North American Mennonite church life from a historical and theological viewpoint. Robert Friedmann took a rather negative view of Oberholtzer's contributions, maintaining that he and his group followed "the way of adjustment and greater conformity to the general pattern of American Protestantism which proved to be a way toward full secularization and loss of substance" (Friedmann, 1949, p. 260). An article by Leland Harder used the tools of a sociologist and theologian and cogently affirmed that "the concepts of organizational disequilibrium, which are not apparent in Friedmann's interpretation, are also needed in order to appreciate the degree to which Oberholtzer's ideas do represent consistent and authentic renewal" (Harder, 1963, p. 330). In 1972, John S. Oyer, editor of Mennonite Quarterly Review, brought together for the first time in translation an important and balanced collection of primary sources on the Oberholtzer Division of 1847, namely the recently discovered Mensch papers from the Old Mennonite perspective, as well as fresh translations of Oberholtzer's own documents from the new Mennonite position. Oyer offers them "as an invitation to scholars to reexamine and possibly to reinterpret" what he suggests may be "psychological dynamics of the Division" and "personality frictions," and finally asks whether "they reveal a peculiar Anabaptist-Mennonite psychology of strife?" (p. 328). S. F. Pannabecker's comprehensive history of the General Conference Mennonite Church, Open Doors (1975), calls Oberholtzer "a man of considerable ability and initiative" and delineates his major contributions as (1) the authorship of the Ordnung, the first known Mennonite church constitution (1847). (2) The practice of Kinderlehre, or children's classes: by 1847 Oberholtzer had begun children's instruction classes on Sunday afternoons, which consisted of singing, praying, memorization of Scripture, and explaining the catechism. These led in 1858 to the establishment of one of the first Mennonite Sunday schools. (3) Oberholtzer also edited, printed, and published Der Religiöser Botschafter (The Religious Messenger), the first Mennonite church paper to last beyond one issue, (1852ff.). This paper, and its successor, Das Christliche Volksblatt (The Christian People's Paper), did much to establish the Mennonite General Conference in the 1860s, to promote the founding of Wadsworth Institute, to publicize mission work among the Indian peoples in Oklahoma, and ultimately to bring about the amalgamation into the General Conference the large numbers of Mennonite immigrants from Russia, who arrived in the 1870s. John L. Ruth's narrative history of the Franconia Conference and Eastern District Conference, Maintaining the Right Fellowship (1984), has added some fascinating, colorful lore to our knowledge of Oberholtzer and his contributions. Ruth gently chides scholars when referring to Oberholtzer's carefully written but unfinished 73-page manuscript of 1884 residing in the Grubb Collection at Bluffton College, stating "Surely, the pathos of this old man's feeling has deserved a closer look than the fellowship he founded has felt motivated to give." John Oberholtzer's most lasting contribution to Mennonite life in North America was not his polemical positions or writings, perhaps not even his important Ordnung, which occasioned the unfortunate 1847 schism, but rather his role as editor, printer, and publisher of the first Mennonite periodical in the New World, the lineal ancestor of General Conference German periodicals down to the present day Der Bote. Likewise this man with the same press, alone among Mennonites in his day, and often till late into the night, translated, set type, printed, and disseminated catechisms, confessions, children's hymns, and devotional books, the effects of which are still felt in the spiritual formation of Mennonite lives. "Life of John H. Oberholtzer." The Mennonite (March 1895): 44. "Obituary of J. H. Oberholtzer." Mennonite Yearbook and Almanac for 1896: 28. "A Pennsylvania Mennonite Church." Mennonite Life 2 (October 1947): 33. Friedmann, Robert. Mennonite Piety Through the Centuries. Goshen: Mennonite Historical Society, 1949. Harder, Leland. "The Oberholtzer Division: 'Reformation' or 'Secularization'?" Mennonite Quarterly Review 37 (1963): 310-31. Krehbiel, H. P. History of the General Conference. Published by the author, 1898. Mennonite Quarterly Review 4 (1972): sp. Issue. Oberholtzer, J. H. Der Wahre Character von J. H. Oberholtzer. Milford Square, 1860. Pannabecker, Samuel Floyd. Open Doors: History of the General Conference Mennonite Church. Newton, KS: Faith and Life, 1975. Ruth, John L. Maintaining the Right Fellowship. Scottdale, PA: Herald Press, 1984. Smith, C. Henry. Story of the Mennonites. Newton, KS, 1941. Wenger, J. C. History of the Mennonites of the Franconia Conference. Telford, Pa., 1937. Fretz, J. Herbert. "Oberholtzer, John H. (1809-1895)." Global Anabaptist Mennonite Encyclopedia Online. 1987. Web. 22 Apr 2019. http://gameo.org/index.php?title=Oberholtzer,_John_H._(1809-1895)&oldid=163010. Fretz, J. Herbert. (1987). Oberholtzer, John H. (1809-1895). Global Anabaptist Mennonite Encyclopedia Online. Retrieved 22 April 2019, from http://gameo.org/index.php?title=Oberholtzer,_John_H._(1809-1895)&oldid=163010. Adapted by permission of Herald Press, Harrisonburg, Virginia, from Mennonite Encyclopedia, Vol. 4, p. 13; vol. 5, p. 644. All rights reserved. This page was last modified on 13 January 2019, at 18:29.